Brochure tailored to Cassida Food Grade Lubricants. Provides information on specific products recommended for the food and beverage industries. Brochure tailored to Cassida Food Grade Lubricants. Provides information on specific products recommended for the food and beverage industries. Current stock being sent until new stock arrives. A full rundown on all Fuchs related products in the Agricultural and Earthmoving industry. An introduction to Fuchs, details who Fuchs are both locally and internationally. Professionally presented, this brochure provides an excellent overview of the company Current stock being sent until new stock arrives. Brochure tailored to the Fuchs range of Industrial products. Provides information on products recommended for the most demanding applications. Brochure tailored to On Highway transport such as trucks and buses. Provides information on specific products recommended for the market. Brochure tailored to the passenger car market. Provides information on products suitable for both petrol and diesel engines. Current stock being sent until new stock arrives. Full Product Overview of Fuchs Products for Passenger Cars. Current stock being sent until new stock arrives. 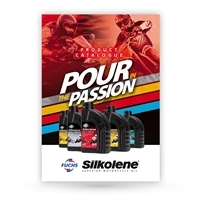 A4 Catalogue featuring the full range of FUCHS Silkolene products. Current stock being sent until new stock arrives. Brochure tailored to the Fuchs Titan Transmission Fluid range. 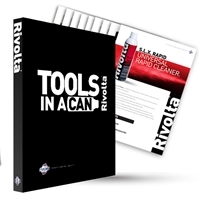 Rivolta Folders including full set of flyers for each Rivolta and Lubritech Aerosol product.